Following the launch of Slow Âge fluid earlier this year, Vichy’s most powerful probiotic skincare solution range has been extended to include two exciting new additions: SLOW ÂGE DAILY CARE and SLOW ÂGE EYES. 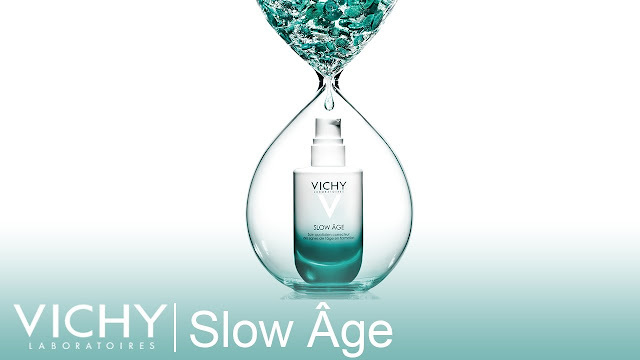 Proven to slow down the appearance of signs of ageing, Vichy’s Slow Âge is inspired by the “Slow Movement”, which promotes the value of doing things at the right pace, in order to do them well and to obtain the best results. This new anti-ageing ethos, spearheaded by Vichy, is made possible by an active formula of antioxidant Baïcalin, probiotic-derived Bifidus and Vichy Thermal Spa Water. This scientifically proven, unique formula slows down the appearance of aging signs by protecting against damages caused by internal and external aggressors such as sun exposure, diet, pollution and stress. These factors are collectively known by scientists as the Exposome and account for 80% of the developing signs of ageing. 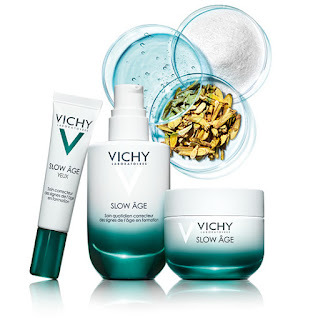 The extended Slow Âge range now provides a complete probiotic skincare routine to protect against environmental aggressors and compliments a new approach to not just looking younger, but to age well. 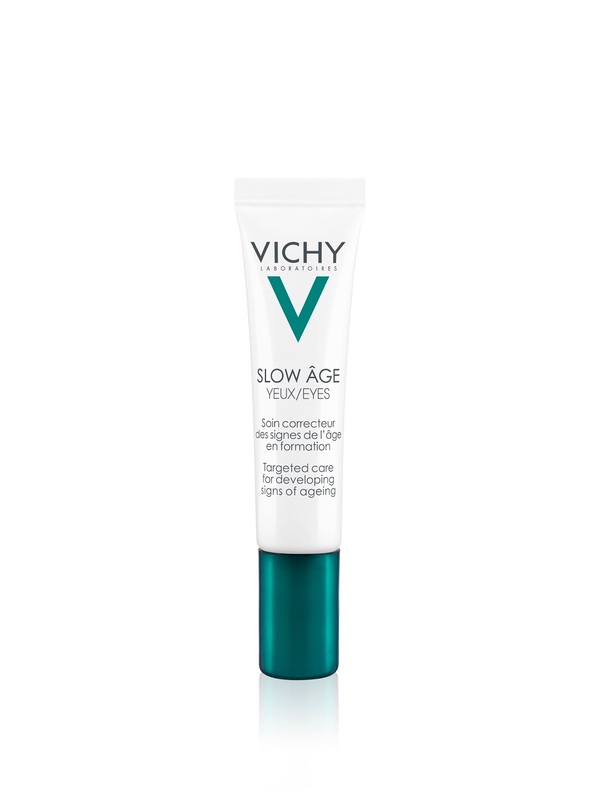 New Slow Âge Daily Care SPF 30 is Vichy’s most powerful probiotic skincare with SPF 30, clinically proven to slow down the appearance of ageing signs. 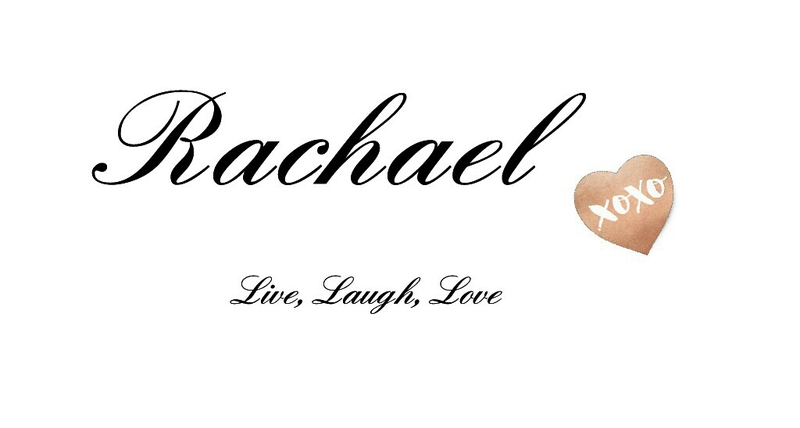 It prevents and corrects the signs of ageing by protecting the skin against internal and external factors (such as UV and pollution) which accelerate the ageing process. Powered by naturally-inspired active ingredients, Powerful Antioxidant Baïcalin, Strengthening Probiotic-Derived Bifidus, Vichy Mineralizing Thermal Water and with an SPF 30, complexion looks fresh, even and more radiant. Day after day, your skin feels hydrated with a youthful glow. 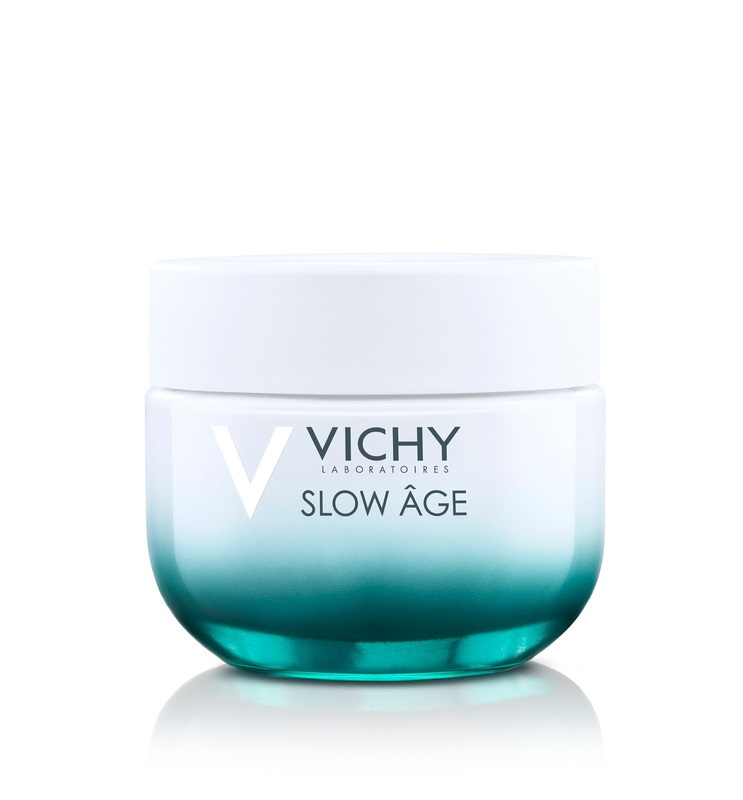 New Slow Âge Eyes is an innovative eye care formula based on naturally-inspired active ingredients. It helps to slow down and correct the appearance of ageing signs. Powered by naturally-inspired active ingredients, Antioxidant Baïcalin, Strengthening Probiotic-Derived Bifidus, Gingko Biloba Extract, Caffeine, and Vichy Mineralizing Thermal Water, Slow Âge Eyes helps to reduce the appearance of puffiness, dark circles and fine lines. The eye area immediately feels hydrated and looks rested. Day after day, the eye area appears smoother, brighter and glowing.